Generally I like the new default however it should not override an adapter if we have one set already. Seeds should not be a "special" context where our configuration is overridden especially when explicitly configured another way. The seeding process explicitly uses inline adapter now. Seeds will execute with inline adapter because they are special. The default is still :async with exception of seeds, so the documentation is still correct. Only overriding the adapter if it is not set is an option but I believe that will create inconsistence. The job will only execute if you have a different process running in development when your adapter is not async or inline and that means that depending on how you are running the application the state of your database will be different. I'd prefer to have a consistent state and this is what always setting the inline adapter on seed is also trying to accomplish. @rafaelfranca If this is intentional ok, it seems inconsistent to me to have the adapter change despite explicitly setting it in application.rb (we don't use any of the built in adapters). My big question is how do we turn it off if we want to without hacks? We have jobs that run as part of our seeds that we don't want to run inline as they are heavy or reach out to 3rd party systems. That should still be allowed right? If you don't want those jobs to run when seeding you application you should be explicit about it in your code, not relying on them not be executed just because your job runner is not up. If for some reason your job runner is up when running the seeds the jobs will be executed. Would be more intention revealing. I'm running into issues due to the combination of this change, and that the inline queue adapter doesn't allow queuing of jobs in the future. This means I can no longer run my seeds, as it fails with NotImplementedError: Use a queueing backend to enqueue jobs in the future. These jobs aren't essential to my seeding process, and so could theoretically be skipped, but it doesn't matter if they are performed either, so I'd rather not modify code to aid seeding. 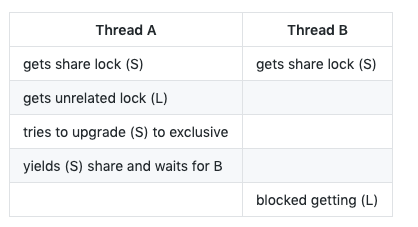 I understand my situation is a bit of an edge case, and maybe isn't worth handling cleanly within Rails itself, but I suspect others will probably encounter it too, and it isn't immediately obvious why the queue adapter is different when running the seeds. That is a good point. I think we should change to only change the adapter to inline if the adapter is the :async one. Mind to open an PR? @rafaelfranca I think you might be misunderstanding my point. We aren't relying on the job runner not running, we have a completely custom one we want to run in there instead. It's very similar to @pwim above except we have a custom adapter that is not async or inline. Also if we go all the way back up the stack for why this (#34953) was introduced was because of this: #34939 (it looks like a threading issue). Ironically I have already run into this same problem just a few days ago with @matthewd over here: #34310. However I don't think we should be changing the seeds job runner files to work around a DB shared lock issue. I guess this change set has value in keeping the seeds consistent regardless of the threading issue (especially if we only override for the :async driver).